Many of us had those unfortunate mornings where your car does not turn on. In order to avoid a disaster like this, it is important to bring your car to a mechanic for regular tune ups. Even brand new cars could use a tune up every few months just to make sure that everything is running smoothly. If you have an older car that is 5+ years old, it is even more important for you to schedule regular tune ups because your vehicle has a higher chance of breaking down or having something go wrong with it. Here you can read all about tune ups, what is, what does a tune up consist of, how much does a tune up cost and all other information that you need to know. Within each of those, there are many tests and other things that are related to those which your mechanic will check on as well. If your fluids are low, they will make sure to top everything off. If your brakes aren’t working properly or they spot something wrong with your engine, they will notify you immediately. They can then discuss your options and let you know what they charge for the repair. If you think the price is reasonable than you can get it fixed there. If not, you can check out some other local car mechanics and see if any of them offer the same services at a more affordable price. There are many good reasons why you should schedule regular tune-ups for your vehicle. You need to find a local auto shop that is a full-service, preventative maintenance and automotive repair center that offers their services at a low price. You should choose an auto shop that has been performing high quality, guaranteed automotive repairs in your area for many years now. You will find that they repair all imported, European, and domestic vehicles, so no matter what type of vehicle you have, they will be able to service it. Trying to find the best car tune up service in your area can be a bit more of a challenge then you expected it to be. Let’s see a couple of tips for finding the best car tune up service. Most everyone knows that the overwhelming majority of dealers out there are going to shake you down for more money than any car tune up service is worth, while those guys at the “chain mechanic shops” are going to tell you anything and everything to upsell you into services that you probably don’t need. Finding the best independent service – through small “mom and pop” garages in your area – doesn’t have to be a nightmare if you know exactly what you’re doing. Here are just a couple of tips and tricks to help you out! The first thing that you’re really going to want to zero in on when looking for the best car tune up service in your area is the information that you’re able to pull out about this company from anyone BUT that company. Because there are so many auto shops out there, you don’t have to choose the very first one you see. Make sure you are great service at a great price. Jump online to dig around on forums, service review sites, social media, etc. to get your hands on as much inside information as you’re able to. This is the information straight from the mouths of real customers – people just like you – that aren’t trying to market for that business, but instead want people to know about their honest experience. This info is worth its weight in gold. Of course, you’re always going to be able to get information about the best mechanics and car tune up service shops in your area by talking to people that are crazy about their cars in the first place. Almost all of us know a car nut or two, and almost all of them are always going to be willing – and ready – to “talk shop” with you if you ask. They will certainly be able to point you in the right direction and make sure that you aren’t getting taken for a ride when it comes time to tune up your vehicle. Finally, you’ll want to be 100% certain that you are completely comfortable with the mechanics that you’ve selected before you toss them your keys and open up your wallet. Meet the mechanics themselves, talk to them for a little bit to get a feel for what they’re all about, and go with your gut. You’ll know whether or not it feels like a shop that you can trust or one that comes off even just the least bit slimy. You might save yourself hundreds or even thousands of dollars in the process. Car maintenance is not possible at all without proper tuning-up and in this regard, it is essential to check out the this complete about car tune-up guide. How to get the best tuning-up of automobiles? If you want to get the best automobile tuning-up, then nothing can be the right choice other than listing up those automobile parts that need to be replaced for restoring the car condition. You can follow the list one after another in order to get the replacement done in a proper manner. Car tune-up cost is a great factor and thus you must create a proper and accurate budget on the basis of the created list. In fact, it is one of the best means for getting the right tuning-up of automobiles. Without the creation of the budget, it is not at all possible to go ahead and do the replacement of the car parts efficiently. If you fail to handle car tuning-up, then nothing to worry as you can opt for the facility of hiring any skilled professional for doing the same. You got to choose the most efficient and trained auto technician so that the replacement of the damaged parts can be done in a proper manner without any unwanted mistakes. Modernized technology and tools are usually utilized in this regard along with the instructions of a manual so that the tubing-up task of the automobiles can be done with greater convenience and higher flexibility. What are the different factors for determining the actual cost of automobile tuning-up? The volume and quantity of parts replacement are one of the greatest factors for fixing up the actual cost of tuning-up and this is why it must not be neglected at all. If a greater number of parts need to be replaced at the same time, then you got to bear a huge cost which can be unbearable at times. The damaging intensity needs to be checked so that the tuning-up cost can be determined. If the damaging intensity is lower, then lower cost needs to be barred and vice-versa. The cost is also dependant on the technique of tuning-up. If you are using the advanced technique, then higher cost with efficient replacement can be gained and vice-versa. But in case of advanced technology, the cost is one-time as a result of which the annual cost can be minimized. The cost might varies from one service center to another and thus it is better to choose such a service center that caters you the facility of getting tuning-up of your automobile parts at a reduced cost. You got to make proper online based surfing so that you can check out the available tuning-up packages of automobiles. This comparison must be quite minute so that you can make a selection of the best car tune up cost that suits your budget and pocket limit. You can hire any freelancing professional rather than any trained technician from any auto-center so that cheaper cost can be enjoyed. This is because, in case of hiring freelancers, you can get the position of bargaining over the cost. Warranty-period tuning up is quite relaxing in nature as a result of which you can even get the chance of having absolutely free tuning up. If you receive the tuning-up function from the car dealer itself, then you can get a comparatively cheaper rate. You can also get your automobile tuned-up from your local service-center so that you can get a great concession. In some cases, you can also avail different discounts on the function of tuning-up. You can also use any promotional coupon for availing offers on automobile tuning-up and these coupons are really quite useful in reducing the overall cost. 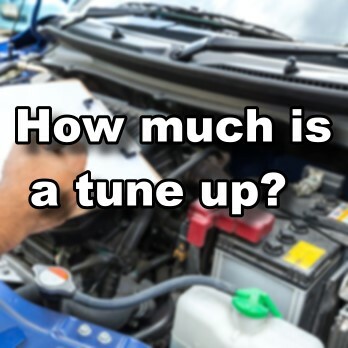 How much is a tune up? Whenever someone purchases a new car, they bring a new ray of hope with it. A car is more than just a mode of transportation, it is more than just a vesicle – it is your license to be anywhere and whenever you want to do it. You don’t have to be a good driver to be a car lover, you can simply be in love with your vehicle because you appreciate engineering efforts that go into the making of the car. You might also be in love with the sheer freedom a car gives – the feeling you get when you can just fly away to any place you like. It is all wonderful and your car deserves to be taken care of. This is why tuning up your car on a regular basis is important. When you get your car tuned up, you see a variety of improvements and enhancements in its performance. Using a car regularly can be responsible for its degrading performance and certain regular repairs need to be performed on its parts to maintain the quality levels of the vehicle. Just like any other mechanical product you purchase, the car needs its repairs done regularly. Here you can take a look at wheel alignment cost. A tune-up procedure is a scheduled set of specific repair items which are performed at regular intervals in a car’s lifecycle. These are necessary to maintain the reliability of your vehicle so you don’t find yourself in a serious trouble someday. If the time of tune up has yet not arrived but your car is showing some signs that scream “tune me up!”, then you should take it for a procedure. What are those signs? How can you identify them? The signs for requiring a car tune up are pretty straightforward. If your engine light in your car is on, you need to get your car tuned up. This light indicates that there is some kind of serious problem in the engine which needs your immediate attention. If you have noticed that your car’s fuel efficiency is on a decline, it is important that you get a tune-up procedure performed. It is not wise to keep using a car which burns away your fuel and money and does not give the kind of performance that you would like for yourself. A tune up performed on the engine will improve its fuel utilization capability and capacity. Another sign that your car needs a tune up is that it does not respond well to turning and break instructions. A tune up will improve the connections between the various pedals to the engine for a more responsive and smoother driving experience. If your engine compartment squeaks a lot, your car needs a tune-up. Squeaking could mean that there is some cleaning required in the parts of the engine. When you go for a tune up, the service people will lubricate the parts for a much-enhanced experience. So, How Often Do I Need a Tune-Up? The above intervals are guidelines based on normal vehicle usage. If the vehicle is used under severe conditions, then the vehicle should be serviced more frequently. Consult your owner’s manual for more details. Performing them on a regular basis will not cost you much from your pocket but will keep your car performance up and friendly. There are many more expensive procedures which should also be performed but not as regularly. Procedures like spark plug replacement and rotor replacement might be tad expensive but are suggested to be done only every 50,000 miles. When your vehicle reaches certain mileage milestones, certain parts usually need service. Tune up is not a constant thing and varies from car to car. Not every car needs these procedures done after the same duration as some other car but an average estimate serves as a good example. 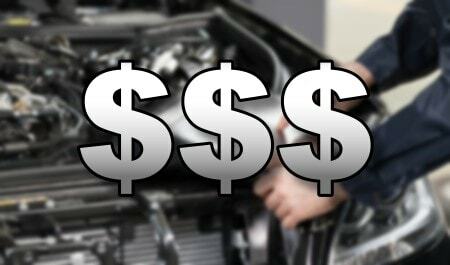 So, how much should you spend on car tune up? What are the costs incurred in these repair procedures? The cost of a tune up depends on the kind of change required by the car. A typical tune up is done annually and the preventive management does not cost much if you take care that it is performed on a regular basis. These changes vary as per the model of your car, its age, the distance it has covered and many other factors. A minimal tune up can cost you anywhere between $40 to $150. Some more expensive procedures like replacing spark plugs, rotor, fuel filter etc. can cost between $200 and $800. The car tune up service cost is not a constant figure but something which varies according to numerous factors and you are the best person with knowledge on what is the best for your car. How can you save money on these procedures? As some can be quite expensive, it is important that you look out for certain opportunities where you can save some green. Many mechanics offer great discounts during a certain period of the year. It is best to approach them during that time frame to save money. Also, you can compare costs of different companies and decide which one offers the best price. Don’t get carried away by the low prices though – it is important to ensure that the company is also offering some quality services. Ask for what is included in the tune-up and collect information about each detail and aspect of the procedures. Making the right choice in these situations can be tricky if you are not aware of what services are going to be offered. One great way to save a lot of money is to do the tune up yourself! If you like your car enough to spend so much money on a regular tune-up, you can love it even more by exploring it yourself. Perform a few basic procedures on your own! Here’s how to make sure you aren’t getting swindled during a cheap car tune up. Believe it or not, some of the least expensive car tune ups end up being the most expensive – for a variety of different reasons. This is why you need to be 100% certain that you don’t pull the trigger on a cheap car tune up without knowing exactly what you’re getting into, exactly what you’re going to have to pay for coming exactly what the mechanics are going to do as far as the work is concerned. Here are a couple of things you’ll want to focus on to make sure that you aren’t getting taken for a ride when it comes time to move forward with a cheap car tune up! Communication is absolutely everything if you’re looking to make sure that you never get swindled during a cheap car tune up. You need to make sure that you expressed to your mechanics exactly what you want to have done, and get them to confirm to you that this is exactly what they’re going to do. Some shops have “tune up” on the big board but don’t really describe the services that you’re getting, and you might be under the impression that you are having a specific amount of work performed and it may be entirely different from the board that actually gets handled. Clear these things up ahead of time. Secondly, you’ll want to make sure that you get your hands on an itemized work order – with prices – before you give them the confirmation to dive right into the work itself. Mechanics (for one reason or another) have a sneaky tendency of adding things to a work order later down the line, or changing the prices on you after you’ve given the green light to have work performed. Make sure this doesn’t happen to you during a cheap car tune up by getting that itemized work order ahead of time. Finally, you’ll want to be certain that you authorize these mechanics to do a tuneup and nothing but a tuneup – regardless of what they may stumble upon in the process. If they find anything, make sure that they communicate the issues to you directly, but do not have them handle those issues without you giving the green light. This is how you pay a lot of money for a cheap car tune up that you wouldn’t have otherwise. Car maintenance is absolutely critical these days, especially with vehicles becoming more and more dependent upon advanced technology. Sadly, because that tech is getting so advanced, even oil changes are a lot harder to pull off without a degree in rocket science. Well, it might not be that bad – yet – but it’s certainly getting there! Anyway, if you want to be sure that your car is running in tip-top shape (even better than brand new, no matter how many miles it has on the clock), you’ll want to avoid costly car tuneup car mistakes that can set you back hundreds – maybe even thousands – of dollars along the way! One of the biggest mistakes you can make – and certainly something that’s going to lead to an incredibly costly car tuneup – is not keeping your car on a regular schedule as far as maintenance is concerned. If you’re changing your oil every 3,000 miles, you need to make sure it gets swapped out every 3,000 miles – not every 3,600, 3,800, or 3,300 miles. If you’re changing it every 5,000 miles, stick to that. It’s all about consistency. Another big costly car tuneup mistake you’ll need to avoid is making sure that you aren’t only getting your fluids “topped up”. You should be getting your fluids flushed at regular intervals, making sure that they are completely overhauling the brake fluid, the oil, and the coolant lines as necessary. This is the kind of stuff you’ll only need to do once every couple of years (certainly not every time you go in for a tuneup), but it’s the kind of stuff you’ll need to have knocked out to keep your car maintenance costs as low as possible. Here you can read the complete guide about brake pads replacement cost, and take a look how much does brake pads and rotors cost. Finally, you’ll want to be certain that you’re not getting crushed with a costly car tuneup by going in blind. Instead, make sure that you’re given an itemized breakdown of all the things that are going to be included in your car tuneup ahead of time, with prices attached. This is the kind of critical info that keeps you from getting swindled during a tuneup. This little trick will save you from every dealing with costly car tuneups again! Tuning up automobiles is a great necessity in the present age especially in case you are intending to maintain them in a good condition for a long period of time. Some people fear that car tune up cost is pretty high but this is a wrong conception. If you make the proper market survey, then you will surely get car tuning-up at a reasonable cost that perfectly suits your affordable limit. The standard rate of tubing up automobiles is to once in two years or else after every thirty thousand miles. Tuning up automobiles is nothing but the proper replacement of different damaged [arts of the cars and this replacement is usually done on proper time. Damaged parts are mainly replaced by reviving or restoring the original car condition so that the productivity can be improved along with the effective maintenance of car longevity and durability. What are the major benefits of automobile tuning up? The automobile functions can be boosted up to a great extent due to tuning-up of the same on a regular basis. 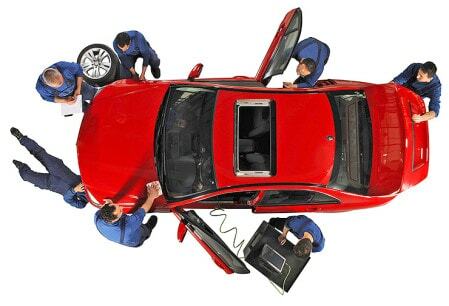 You got to maintain the standard rate in order to maintain the car functions properly without any unwanted mistakes. On the other hand, the overall productivity of the automobiles can also be increased in the same manner. Rough idling and engine damaging and sudden break-down can be effectively prevented by means of the same and this is one of the greatest advantages in this regard. Annual Car Tune Up Cost can be minimized as a result of regular tuning-up and thus it needs to be maintained on a frequent basis without any stop. This cost is mainly included in the cost of car maintenance as a result of which your cars can now be maintained at a reduced cost and thus you can save greater amount. The overall value of your car can be boosted up as a result of which you can get higher selling cost at the time of selling your car. On the other hand, the overall premium rate can be reduced due to the same and thus you can get the advantage of paying reduced auto insurance. Parts replacement of the automobiles can be smoothly and easily done with the function of tuning-up and this is the reason the repairing task can be highly facilitated. There are some special parts that need to be replaced on a frequent note and they are distributor cap, plug wires, fuel filter, ignition rotor, fluids, air filter and other related ones. Emission and pollution can be reduced and thus the performance of the automobiles can be improved day by day. To be more precise, due to lower smoke emission, you can now maintain a completely eco-friendly environment which is really a greater thing. Since all kinds of damaged car parts are being replaced properly, therefore gas mileage can be increased. Therefore, the need for excess fuel can be curtailed as a result of which fuel cost can be controlled.